Staircase to 2nd floor is located outside house. 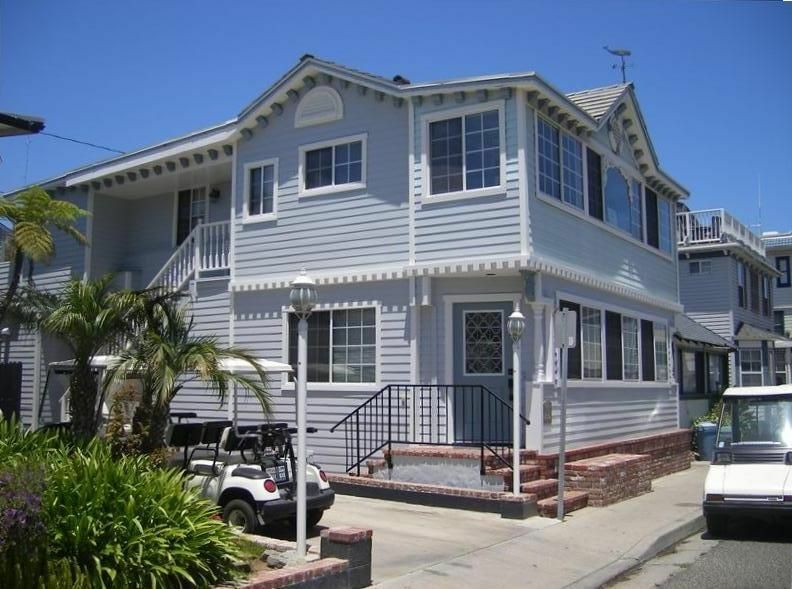 This comfortable, Well-appointed Duplex is close to the beach, shops and restaurants. Perfect family getaway one block from all Catalina has to offer. Another great year and stay on Clarissa! Thank you for a wonderful time at your lovely home. 3 years and counting! Loved it ... will be back! We thoroughly enjoyed our stay at the Piper House and are already planning to come back! The location is great and the house is equipped with everything you'll need -- including the awesome bonus of the golf cart. It was fun to make family meals in the upstairs kitchen and lounge on the large deck. Although the street is noisy, it does quiet down in the evening. The owner and caretaker were very accomodating and flexible when we had questions about check in/out. Perfect place to stay with a group! There were 11 of us and there was plenty of room!! Golf cart was an added bonus too!! Would definitely recommend this house!!! The weekend was wonderful and the house was very close to all the activity. The biggest complaint I have is the amount paid to stay there when the upstairs unit's carpet and outside refrigerator door was dirty. The carpet had stains and I would expect a nicer carpet for the price. They also need to update the windows since the house is on a busy thoroughfare street and therefore we could hear all the traffic that started going by in the morning. I hate to complain about these things because the weekend was wonderful and the location was amazing - it's just the price verses these things was high. are double paned and the street is busy. NOTE: Rates do not include 12% Avalon City Tax and cleaning fee of $260.00 Cancellation fees: $200.00 until 60 days prior $500.00 after 60days prior to check-in date. Staircase to upper floor is located outside of house.